At Dr. J. Pediatrics, we believe that the medical team should have the highest quality training. That is why we have selected RNs. Their experience, knowledge and education are uncompromising. We are very proud of our medical professionals. The RNs are an important component of that. Compassion is one of the most important qualities of a pediatric nurse, Kathy believes. It is important to help both the families and children when they are sick or sleep deprived, for example. Having been a nurse for three decades, and having grown children and grandchildren of her own, she has already been in most of those situations. She relates to parents and believes that no question is ever stupid. 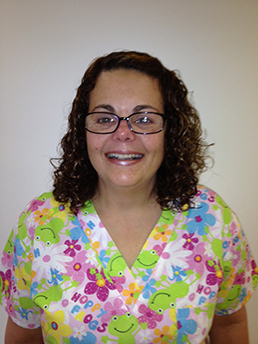 Long before she became a nurse, Kathy began working as a medical assistant early in her career. Kathy has also spent a lifetime of volunteering with children. She is a past PTA president, Girl Scout leader, and been involved with children’s ministry at her church.